This weeks artist of the week is an up and coming mysterious singer/songwriter. 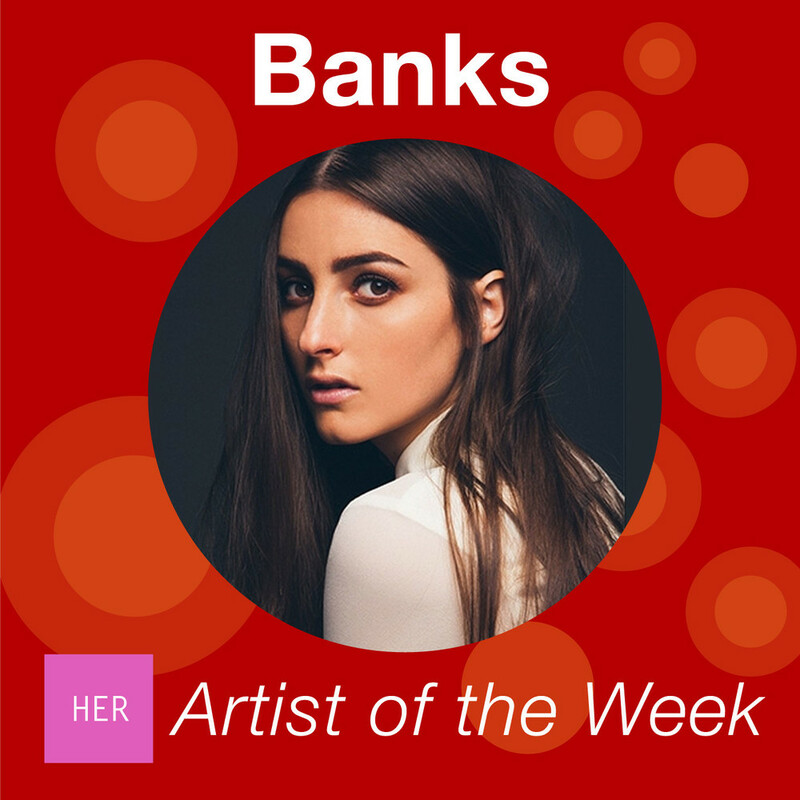 Jillian Rose Banks, better known as just Banks, is this week #HERartistOfTheWeek for her song Goddess. Banks first started writing songs as a way to deal with her parents divorce. Banks said "It was one of the biggest traumas I have ever experienced, I had all these feelings that I didn't now how to process. Eventually I understood music could be my salvation. From nowhere a melody would come to be. It felt better than talking to anyone about my issues - it was truly cathartic. Once I discovered writing, it eliminated the need for outside help. I didn't require it. I had a keyboard and all these weird chord progressions in my head - that was the best escape in the world." In which she is trying to say that, you are worth it don't let anyone treat you poorly, because you are a goddess, and you deserve only the utmost respect and love. The Goddess music video was inspired by UNICEF's work on promoting children's rights through sport and play and the Galz and Goals program in Namibia which helps disadvantaged adolescent girls make healthy decisions on and off the playing field.